The questions what the future will bring and if and how it is possible to anticipate coming events have intrigued human beings since the dawn of time. Over the course of the centuries human beings have found better and more sophisticated ways to calculate and predict certain prospective occurrences, for example earthquakes, thunderstorms et cetera. In the Europe of the nineteenth century this potential of rational (natural) sciences led to the idea that it would once be possible to anticipate everything that will happen in the universe, going as far as that it should even become predictable how human beings will develop and which actions they will choose. The French philosopher Henri Bergson verbally fought against this kind of belief and developed a so-called process ontology, which claims that nothing in the universe is ever fixed. In fact everything that exists is an ongoing and evolutionary process (élan vital) without a fixed goal. And since—according to Bergson—our rational mind is solely capable of understanding and therefore predicting rigid entities but not processes, any belief in the complete predictability of the universe must be abandoned. Instead, we should focus on the possibilities of an open, spontaneous and creative future, which we will only then be able to understand, if we get more in touch with our so-called intuitive faculty, which is able to fathom a process in its processual state. For human beings the seemingly separated triptych of past, present and future shapes their daily life in enormous dimensions. Instead of having a rather limiting and “analytical” linear view on time, in which the past is something gone and the future something which has no relevance yet, human beings experience the phenomenon of the past much more as a period of lost possibilities. Decisions made in the past cannot be reversed, nor can situations witnessed ever be (fully) forgotten, and it is highly likely that even consciously suppressed memories are forming our being each and every moment. In the same manner the future is generally experienced as a creative playground. In principle everything will be possible tomorrow and one can embrace new feelings, take new steps and form one’s life and one’s environment. One could go as far as to say that the future is something that does not exist2 in its final form yet and is therefore malleable and can be created from scratch. Or, judging from a restricted human perspective, it is possible to say that the future is something that cannot be fully and completely grasped and recognised by our faculties and methods of perception. Nevertheless, human beings try to forecast and predict what will happen not only in the coming hours and days, but years. And, without doubt, some forecasts are rather accurate. Judging simply from blind and unscientific empirical evidence, it is, for example, possible in one’s daily life to predict to a certain degree how a person will react to a certain stimulus. This goes as far as that it would be highly difficult to live in a community or society without a certain possibility of anticipation. Also, there remains little dispute over the fact that our rational mind and especially its use in natural sciences has made it possible to predict events at least to a certain degree of probability. One just has to think, for example, of earthquake warning systems, weather forecasts et cetera. Without going into detail about the question of predictability in natural sciences, there is one kind of impression which still haunts all sorts of predictions, forecasts and anticipations: there always seem to be surprises and unexpected events, which we did not see coming. And when such events are taking place before our eyes, we have to deal with them in spontaneous and often intuitive ways, because we usually have not had the time and the chance to prepare for such instances. Obviously as with most topics in philosophy this insight hardly offers anything spectacularly new. Since the dawn of time human beings have always tried to predict certain events in order to prepare for the future, but even then they knew that independent of how important certain plans and forecasts were, the moment of unpredictability was always present, and till this day it seems to be hanging over us like the often mentioned mythological Sword of Damocles. The main difference to earlier days, however, is that we have become better at forecasting and predicting, and this has given rise to the narrative that unexpected events would not happen if we were able to include each and every relevant variable in our calculations of when and where something will happen. But this is more of a problem of technical advance and adequate calculus than a philosophical one, since there seems to be some form of societal agreement that with the constant development of natural sciences and statistics our ability to predict will also become better and better until the margin of error is finally so low that unexpected events are unlikely to occur, at least concerning big events like the explosion of a volcano et cetera. However, there was probably a time in the Western world, when the belief in this narrative was even stronger than today. In the nineteenth century natural sciences were blossoming and scientists deciphered new “secrets” of our universe basically on a daily basis. Therefore the belief that after hard scientific work human beings will at least one day be able to fully understand and comprehend nature, the universe and the essence of human beings was growing. While this was understood by many as a utopian dream, some philosophers and thinkers also saw the downsides not only of such a belief but also of the danger of it becoming a reality. After all and very simply put, would a completely predictable universe not give rise to a certain form of determinism and therefore abolish all freedom? (Jurevičs 1949, pp. 154–156) Because of this scepticism the belief in natural sciences and their possibilities was highly criticised. One main point of criticism, which will also be the cornerstone of this article, attacked the premise of the whole argumentation and claimed that it was simply impossible to fully fathom the future and all its opportunities with the help of classic scientific rationality and thinking. In the second half of the nineteenth century a philosopher dealt with these problems in remarkable depth. Henri Bergson, a French philosopher, who lived between 1859 and 1941, developed a unique and precise way of thinking about rationality, its helpfulness and its limits and tried to answer the question of how to understand time and especially the future. Most interestingly, the anarchist thinker and philosopher John Zerzan thought that Bergson was one of the very few exceptions in Western philosophy who was able to break free from the “imposed […] numbered time” (Zerzan 2015, pp. 17–18), meaning he was able to interpret time not in a quantitative and purely rational way, but in a qualitative way and with a new perspective.3 And while Zerzan surely was exaggerating when it came to the idea that Bergson was basically the only Western philosopher thinking in a different manner than in quantitative terms about time, there is some truth to the idea that Bergson had a very unique view on the phenomenon of the future and that he tried in a still unrivalled way to think the universe and human beings as open, creative and spontaneous beings. However, he did not condemn rationality and natural sciences as a whole, but rather tried to find a link between rationality and a new concept called intuition which is supposed to be able to grasp these open, creative and spontaneous phenomena like the future. Even more, Bergson actually tried to bring creativity and rationality, quantity and quality, physics and mystics together in a so-called “holistic” approach. In order to make Bergson’s position clearer and to show, why it is of great importance to look at the future both from a rational and a so-called intuitive way, this article will deal with the following three points: (1) Firstly, a short introduction will be given to the classic idea of nineteenth century Europe to show how our analytical and rational mind, which is the key faculty for the research methodology of the natural sciences, is able to understand and, therefore, predict everything that happens in our universe. This idea will be exemplified with the help of the theories of Charles Darwin, since on the one hand the theory of evolution was of great importance to nineteenth century Europe and on the other hand Bergson himself frequently made use of this theory and tried to implement the theory of evolution in a unique way into his philosophical thinking. (2) Secondly, Bergson’s position concerning the theory of evolution and his opposition to the claim of natural sciences that everything can be understood with our rational mind and, therefore, can be predicted will be discussed. The focus will lie especially on the concepts of intuition, creativity and the meaning of an open and free universe. (3) Thirdly and finally, a short summary of Bergson’s position will be given and the consequences of combining rationality and intuition in order to interpret how we shall deal with the future will be discussed. It will be shown that Bergson’s philosophy offers a unique way of combining rationality and creativity and is therefore able to grant us a new perspective on the future and on predicting coming events. Analysing Bergson’s philosophy and, specifically, his concepts of time and duration against the background of the developments of natural science during his time is in itself nothing new, but it is on the one hand important to highlight Bergson’s thoughts and ideas in the context of the current discussion concerning anticipation. This is because of the fact that Bergson’s rather unique understanding of time opens new perspectives for the philosophical questions of anticipation. On the other hand Bergson’s basic philosophical thoughts help to show more clearly how the general ideas of process philosophy and process ontology – especially in the long run – may be of interest for the handling of certain philosophical questions concerning the topic of anticipation. The point of all these mechanistic approaches to various theories of natural sciences is that if something is explainable with the help of the rational mind, then it is also predictable, even if we do not yet possess the necessary tools to make these predictions. Thus if the process of natural selection is a mechanistic and automatic one and if we have all necessary data about the environment and know what kind of modifications would be best for such an environment, then we will be able to predict how (human) beings will develop and evolve in the future. And if the mind and brain of human beings is simply the result of the natural selection and if its key characteristic is simply to define actions and thoughts which are helpful for the survival of the individual, then—again with enough data—we will one day be able to calculate and predict which kind of actions a human being will set in a specific environment. The world becomes, so to speak, deterministic and unfree, and the future is no longer an open and a creative space, but much more a calculable and predictable entity that can neither be avoided nor escaped. However, before we can look at Bergson’s interpretation of this theory in detail, we need to clarify a few vital points about his ontology in order to better understand the combination of rationality and intuition. So the process of life and of the universe was given shape in the form of an evolution into species and individuals. This evolution and development, which we can experience in our universe, therefore represents, at least to a certain degree, the direction this energy is taking. (Bergson 2013b, p. 69) As we can see here Bergson interprets Darwin’s theory of evolution according to his unique process ontology, which leads to interesting consequences not only for the question of how rationality and intuition are combined in the potential of human beings, but also for the question of what we can say about the future and what the future will bring. According to Bergson animals have little to none analytical capabilities, but thanks to their instinct they are able to interact with life and the élan vital in a unique and direct way. (Bergson 2013b, pp. 162–165) But what does that exactly mean? First and foremost, this explains nothing else than that the faculty of instinct works “unconsciously”. This means that the animals are not able to distance themselves from themselves and realize that their way of perceiving the world happens via the help of their instinct. From this perspective animals are not able to change to a meta-perspective. On the one hand this leads to enormous advantages for animals because they manage to directly interact and live within the so-called élan vital, the everlasting and ever flowing process of life. Because of the animals’ missing analytical faculty the animal never exists in distance to its life and the élan vital, but it is always rooted directly in the process of life. The animal, therefore, experiences the élan vital in its processual character, and this means nothing else than that animals are in fact much closer to reality than human beings. One could also say that the animal constantly exists in the present. On the other hand this strength of the animal is simultaneously its weakness, because an animal can never reflect on its actions and its life since it does not have a functioning analytical faculty. All of its actions happen naturally and, as mentioned before, instinctively, which leads to different consequences. For example most animals are unable to build and use inorganic tools and they are not able to construct a specific form of language like human beings, et cetera. (Bergson 2013b, p. 191; Jurevičs 1949, p. 175) Although natural sciences have made a lot of progress in investigating animals and some opinions of Bergson are not valid any more18, the overall point still stands: animals are more and specifically driven by instinct. The following can be said in order to sum up this basic thesis before we move on to look in detail at the idea of intuition and its meaning for an interpretation and an anticipation of the future: (1) the universe is not something rigid and fixed, but much more a continuous dynamic process which expresses itself in the form of evolution, a theory made famous by Charles Darwin and then uniquely interpreted by Henri Bergson. (2) Because of the ontological structure of the universe, the analytic mind of human beings is not enough to fully comprehend the essence of this world. In order to understand the élan vital, we need a method or faculty which enables us to understand the energetic process in its processual state. Bergson sees the instinctive faculty of the animal as some kind of proof for the assumption that we human beings must also have the capability to not only look at life from a distant, rational perspective, but to perceive the stream of life in its processual character. The faculty for such a view is our intuitive potential. Such a form of thinking is not only difficult to fathom, but also hard to explain. An intuition is some kind of borderline experience (Jurevičs 1949, p. 97) which is related to so-called mystical experiences.21 Thus an intuition has to be understood as a form of direct view respectively direct experience that has no need for symbols or pictures. Since any intuition constitutes direct and imageless knowledge and insight it is highly difficult to talk and to transmit these insights to other people because human beings are solely able to communicate with the help of words, symbols and pictures. (Bollnow 1958, p. 51; Margreiter 1997, p. 201) That is why Bergson tried to invent so-called fluid terms (“des concepts fluides”), which is basically another term for metaphors and analogies (Bergson 2013a, p. 54; Mullarkey 1999, p. 9). The Bergsonian concept of the élan vital, which is explained by the energetic explosion of a “grenade”, is the perfect example of such a fluid term. Of course, the energetic explosion of a “grenade” is only a metaphor, but with the help of such pictures certain insights which cannot be grasped by man’s rationality can be transmitted, at least to a certain degree. Even though it already seems to be highly difficult to talk about such an abstract and un-speakable concept like intuitive experience, Bergson wants to go even further and implement his concept of intuition as a specific kind of philosophical method. But how can a borderline experience actually serve as a method for philosophy? This means that if one, for example, believes that he or she can have intuitive insights into the scientific field of astrophysics or also philosophy without ever having read anything about these topics and ideas, then he or she is plainly wrong. Intellect and intuition work together and intuition is no shortcut to knowledge. Only after one has studied the respective field or science of life in general and only after one has tried to understand different concepts with the help of rationality, is it possible to have this intuitive or even mystical insight which is then basically nothing else but a sudden understanding of the process of reality. (Bergson 2008, pp. 49–51; 57–60; Deleuze 2007, p. 33; Kolakowski 1985, p. 41) Still, after such an intuition has happened it needs to be translated into partly rational means and words in order to talk about what has been gained through the intuition, even though our “normal” language always robs these experiences and insights of their processual character, which is why Bergson tried to work with the aforementioned fluid terms. In this sense (natural) sciences are clearly overstepping their boundaries when trying to anticipate and predict the future solely with the help of calculable, mechanistic and/or rational means. But how shall we then, according to Bergson, treat questions about the future? Bergson’s ideas concerning process ontology and intuition are extremely helpful when we try to gain a new and fresh perspective on the question of the future and of anticipation. In a lot of cases we just think about the future in polarities, because we either believe that we are able to anticipate (or at least calculate to a certain probability) what the future will bring or we think that very few things can actually be predicted when it comes to long-term consequences and events. And we usually assume that we can either anticipate our future with the help of rationality or we are convinced that it is not possible at all. But Henri Bergson’s philosophy teaches us something that was later made famous by Jacques Derrida and his idea of the différance (for example Hill 2007, p. 16), namely that no matter what kind of pole in a dualistic system we affirm, we always acknowledge the other pole as well, since we validate the dualist system as a whole by choosing one pole. This means that no matter if we either believe in determinism and predictability or if we believe in total freedom and unpredictability, it is actually (in some ways) the same because we are only choosing and acting within a constant and invariable frame of reference. This, of course, also accounts for the question whether or not we believe that with the help of rationalism we can predict the future. No matter which side we choose, we are unable to leave the dualist system and acknowledge it at the same time. And this problem goes even further: one could say that the polarity between predictability and unpredictability, between determinism and freedom, between rationality and creativity itself is constructed by our rational mind and it, therefore, needs to be forced open if we really want to gain new insights and if we want to understand that nothing in the world solely works according to seemingly fixed and rigid entities, but according to processes. In his philosophy Henri Bergson therefore forces us to take another look at the world, which naturally affects our way of thinking about the future in general as well. The élan vital, the ever flowing energetic explosion, evolves in a certain kind of direction, but at the same time it remains unknown where this direction will lead to and what exactly will happen on the way this energy is taking. Thus, on the one hand the future remains an open, creative and also spontaneous phenomenon, but on the other hand it is possible to get directly into contact with the élan vital via the help of our intuition and to catch a glimpse (at least in some way) of the direction this élan vital is taking. If we oversimplify this theory, we dare say that we simultaneously can and cannot know and predict anything about the future. This can be said for different reasons: (1) First of all, as has been mentioned many times, Bergson does not reject rationality nor its ability to predict and anticipate as a whole. As we have seen, various “fragments” of the so-called “grenade” have little energy left and their processual character has slowed down tremendously, which makes it easier for rational thought to tell us something about its future development. It is, to use a simple example, easier to predict the development of a stone in one’s one garden than to (fully) anticipate the development of one’s own child. So the calculable and rational way of predicting the future is, of course, possible in some ways, but it has its clear limits. (2) Secondly, an intuitive approach to the future cannot simply complement the rational way of anticipating the future nor does it make it possible for us to know everything that will happen, because the élan vital itself does not follow a clear and fixed path. This means that even with the help of intuition we can never fully predict the development and evolution of the energy of life. But even if we could do that, we would, (3) thirdly, always be faced with the difficulty that an intuitive experience is much more complex to communicate and even to understand for oneself. No doubt, thanks to intuitive perception and insight it is possible to gain a glimpse into the developments and evolutions of the future, but it can never be grasped as sharply and as precisely as we are used to when we exercise our rational faculty. If we close the curve and return to the anarchist philosopher John Zerzan, who mentioned that Bergson was the first Western philosopher who tried to break free from the system of numbers and quantities, we can in some way agree with his thought and adapt it on a broader basis. (1) First of all, Bergson’s theories and thoughts call for a rather unique bridge between rationality and “irrationality”, between reason and intuition, between order and chaos. This connection between such and similar phenomena allow us a unique interpretation of the future. This means that, (2) while some aspects of the future seem to be so stiff and rigid that they can actually be predicted solely with the help of rational reasons, there are other aspects—as for example the development of human beings—which will forever remain unpredictable if we only use our analytical faculty. That is because the “fragment” of the “grenade” which represents a human being is still too energetic and too powerful, and that is why only intuitive insights may help us to understand some of the characteristics of this process. The future is, as mentioned before, an open and undefined time and phenomenon. The question that now remains is the following: what follows from such an insight? Basically nothing else than (3) that man’s need to continuously order the universe and the future and to make them rigid and stiff will not help in getting a clearer picture of the coming events. The real challenge is not to impose rational order on an energetic and free process, but to learn to live with some form of chaos, free development, and spontaneous evolution in the universe. Taken from the song ‘Shadows Of The Sun’ of the Norwegian band Ulver. Without doubt, the term “existing” here is highly problematic if interpreted in a strictly analytical and philosophical perspective. However, we may use this word here in a more general and everyday manner and not as a philosophical or scientific term. It is indeed one of Bergson’s key ideas in his first book “Essai sur les données immédiates de la conscience” (1889) to show that most philosophers and thinkers actually treat the phenomenon of time the same way as the phenomenon of space: “Concerning material things one will not have to argue that every notion of numbers and/or counting is connected to a certain notion of space. Counting itself is then a discontinuous process, which means that while counting we proceed jerkily from one unit to the next by interpreting numbers as parts of a given space.” (Albert 1995, p. 90; my own translation). While the authors mentioned—especially Hippolyte Taine and Ernest Renan—were especially important for France, the philosophical discourse in Germany, for example, was mainly shaped by Neo-Kantianism and their interest in conceptualising a philosophy of science. This is, of course, a question that has pained philosophy since the rise of natural sciences, and even in the 21th century this matter is far from decided. One may not forget concerning this matter that philosophy and natural sciences did not use to be two separated phenomena. It was normal and typical that from the times of the Ancient Greeks to the modern Western age philosophers worked and thought about issues and problems we would nowadays count to the area of responsibility of natural sciences. But even G.W.F. Hegel, who lived in the 18th and 19th century, still thought about such problems in a serious matter and wrote a text called “Dissertatio philosophica de orbitis planetarum", in which he talked about our solar system and tried to explain the complexity of the universe. Henri Bergson’s discussion with Albert Einstein, which, among others, took place in his book “Durée et simultanéité. À propos de la théorie d’Einstein”, about Einstein’s theory of relativity is still debated and re-evaluated in the 21th century. Most interestingly, this interpretation of Darwinism is still very present today. 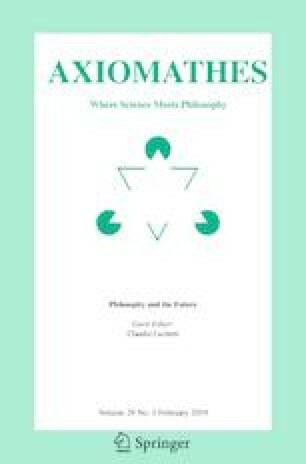 In the articles about Darwin and his theories in the renowned “Routledge Encyclopaedia of Philosophy” and “Historischen Wörterbuch der Philosophy” one can also find the word “mechanism” in order to explain the natural selection and the theory of evolution, see Rensch (1972) and Lloyd (1998). The concept of the élan vital is, of course, highly linked to the central term in Bergson’s philosophy namely la durée (duration) which demonstrates that we have to think of time not in the form of spatial parts, but as an ever flowing process. We will see that the élan vital can basically be described in the same manner. It remains one of the most difficult aspects of Bergson’s last work “Les deux sources de la morale et de la religion” to understand how the élan vital can at the same time flow into a certain direction and be somehow aimless. Bergson’s general examination and occupation with animals and the latest biological research once again underlines the point that Bergson was always interested in the natural sciences and tried to implement new scientific research in his philosophy and his thinking. A good example can also be found in his small work “Le Rire”, in which he talks about animals’ (in)ability to laugh. Bergson deals extensively with the question of mysticism in his last great work called “Les deux sources de la morale et de la religion” which was first released in 1932.